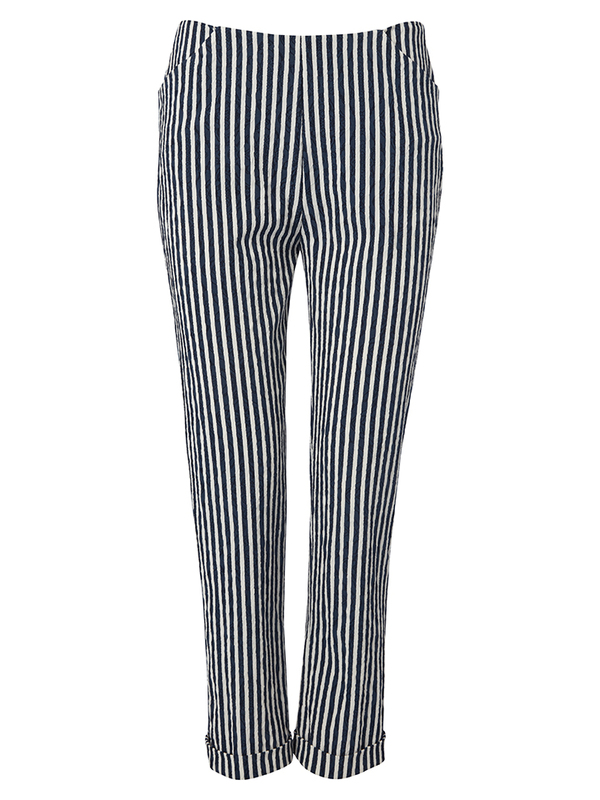 EASY FIT CROPPED TROUSER FEATURING A TURN BACK CUFF. 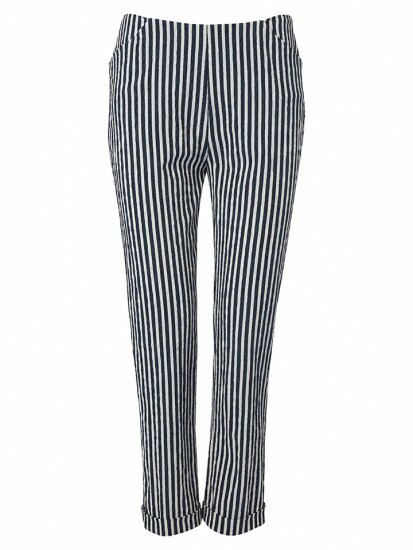 PRINTED STRIPE ON STRETCH TEXTURED FABRIC.FLATTERING SIDE POCKET DETAIL AND BACK ZIP FASTENING. WEAR WITH OUR KEY HOLE T SHIRT FOR A CASUAL LOOK.